Advertising, photographic lifestyle and fashion and television commercials we are also involved in castings for film and television drama West End and Voice Over. This is done by Audition or by recommendation only. All minors must be accompanied by a parent or guardian to audition. The Agency will email only to selected applicants and notify parents of audition date. 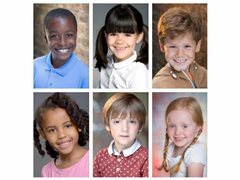 We currently have many children and adults featuring in many TV commercials, short films,Feature Films, TV Series', West End shows and Modelling for High Profile Brands and Products.